This Committee was to follow in the footsteps of such patriots as Anne Devlin and her friends who, in 1798, in the dead of night, collected the remains of excecuted or murdered members of the United Irishmen from hedgerows and buried them. In 1898 the "98 Memorial Comittee's" main function was to erect memorials and mark the burial places of executed members of the United Irishmen. 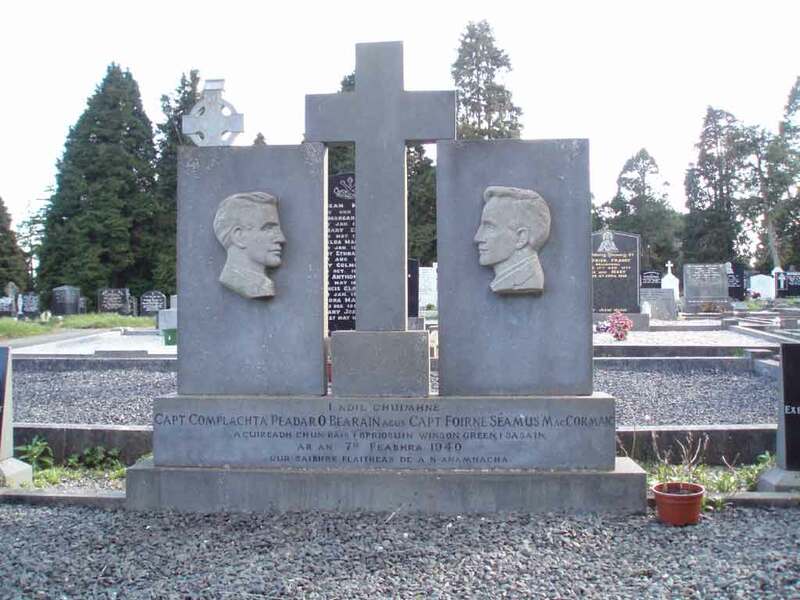 In 1926 the Committee became known as Cumann Uaigheann na Laochra Gael or the National Graves Association, the name which it has retained up to the present day. The continuity link between the original organisation and the NGA in its present form comprises the Fenians, J.W O'Beirne and James Stritch who took part in the rescue of Col. Kelly and Captain Deasy at Manchester in 1867 and who remained on the committee of the NGA until their deaths. "No member of the company shall be appointed to any salaried office, or paid fees and no remuneration of benefit in kind shall be given to any member for work done on behalf of the Association." To restore, where necessary, and maintain fittingly the graves and memorials of our patriot dead of every generation. 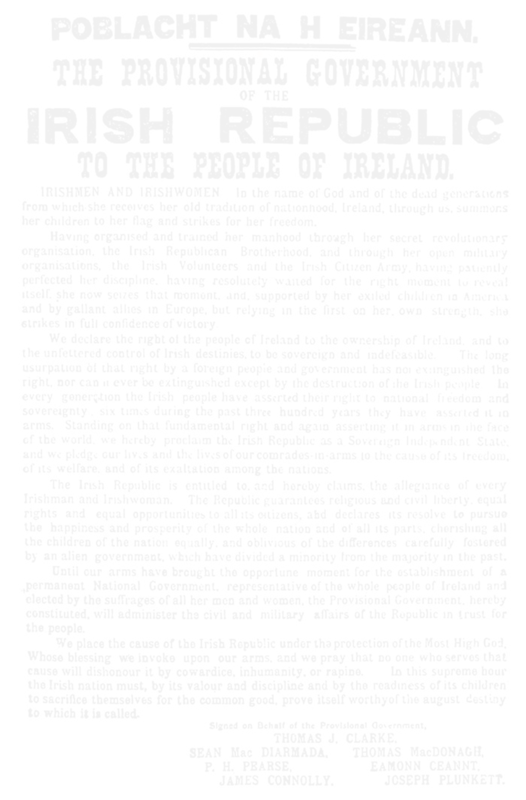 To commemorate those who died in the cause of Irish Freedom. To compile a record of such graves and memorials. The Association is not in receipt of, nor have they ever applied for, state funding of any kind. They depend entirely on voluntary donations from nationally minded people, at home and abroad, and on annual subscriptions from Associate members. The NGA have erected, or accepted to be placed in their care, in excess of 500 Memorials and Wayside Shrines in the 32 counties of Ireland. 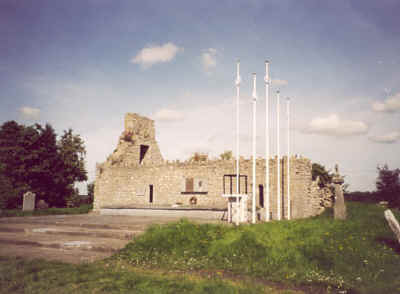 The best known of their Memorials, to name but a few, are to Wolfe Tone at Bodenstown, Co. Kildare, Bart Teeling, Co. Sligo, Roddy McCorley, Toomebridge, Co. Antrim, The Croppy Boy in Tralee, Thomas Traynor, Tullow, Co. Carlow and to Páid O Donaghue, Curraha, Co. Meath. In 1932 they commenced tours of Historic Graves in Glasnevin Cemetery free of charge. These tours are held every Sunday from June to September. In 1934 tours of Kilmainham Jail were conducted by the NGA. In 1938 with the help of Helena Moloney, Maude Gonne McBride and others, they succeeded in preventing the proposed demolition of Kilmainham Jail by the Government of the day. It was later restored by voluntary workers including members of the Association. Many well known names were listed among the Associate membership, Mrs. C. Brugha, Nora Connolly (daughter of James Connolly), the opera singer Margaret Burke-Sheridan, the painter Jack B. Yeats, Nobel peace prize winner Sean McBride, Erskine Childers, Sean T. O'Kelly, Eamonn de Valera, Eileen Davitt (daughter of Michael Davitt), Nurse Elizabeth O'Farrell, Brian O'Higgins, Fr. Ml. O'Flanagan, Count Plunkett and Mrs. Kathleen Clarke (widow of the executed 1916 leader) who chaired the first meetings of 1926, to name a few. The Association was responsible for the repatriation of the remains of Vols. Dunne and O'Sullivan and Vols. Barnes and McCormack from English prison graves to republican plots in Ireland, also Frank Ryan from East Germany, the Connaught Rangers from India and the reburials of the volunteers executed in Mountjoy and Portlaoise during the period 1940-46. At the height of the Tan War (War for Independence) the British executed 10 volunteers in Mountjoy Prison, between 1920-21. As was their custom, the bodies were buried in unmarked and unhallowed ground within the confines of the prison walls. In 1923 the relatives of the volunteers requested the remains of their loved ones only to be told by the Free State government that it would stir up trouble for the authorities. The National Graves Association joined in the campaign in the late 1920s to give these men a decent burial. It was with some sense of victory that the Association marked the burial plot within the prison in 1934. Our Committee attended this plot every year up to the late eighties when we realised the authorities were content to allow us to do just that. The National Graves Association never forgot its duty towards these volunteers or indeed towards their relatives. Successive Secretaries campaigned vigorously and our late Secretary, Martesa Kearney (RIP) badgered successive Irish governments and campaigned in both national and international press to have these volunteers interred in hallowed ground with the honour and decency deserved by any volunteer who made the ultimate sacrifice. In 1996 the National Graves Association erected an imposing Celtic Cross in Glasnevin Cemetery dedicated to the forgotten ten. Finally, on October 14th 2001, the campaign culminated in the volunteers being re-interred in Glasnevin Cemetery. 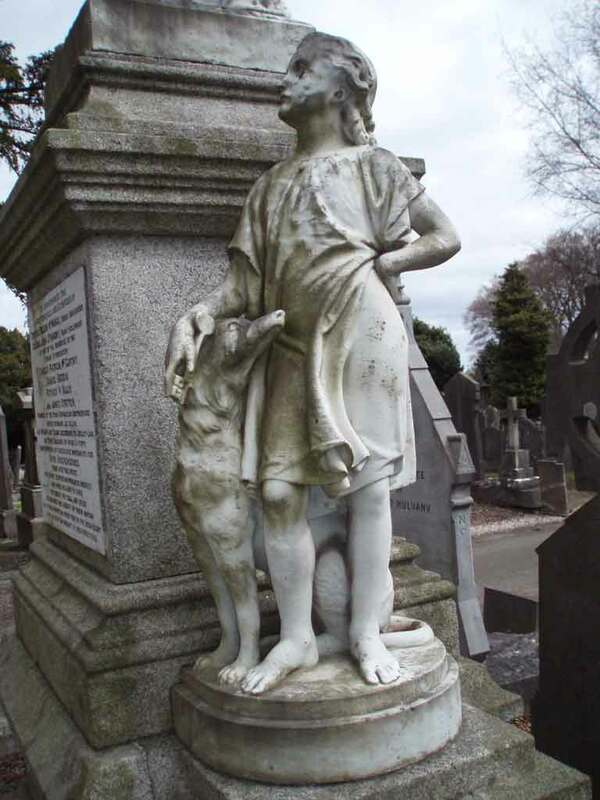 Kevin Barry, Patrick Moran, Frank Flood, Thomas Whelan, Thomas Traynor, Patrick Doyle, Thomas Bryan, Bernard Ryan and Edward Foley were buried in Glasnevin Cemetery while Patrick Maher was reinterred in Ballylanders, Co. Limerick. These volunteers were never forgotten by the National Graves Association and indeed will be honoured and remembered by our members when we commemorate the Forgotten Ten. The Association has never deviated from its guiding principle "Only a 32 County Irish Republic represents the true aspiration of those who gave their lives for Irish freedom". Members of the governing body are not allowed by the rules to be a member of any political party. This rule does not apply to associates. The registered office and only correspondence address is National Graves Association, Box No. 7105, 74 Dame Street, Dublin 2. There are no branch committees, there are no County branches, i.e. Belfast National Graves Association, Tyrone National Graves Association. If you are in any doubt, please contact the above address or telephone 087-2282033. The National Graves Association is an autonomous body, with no affiliation to any political party, organisation or group.